Saw this on Argos. Very good deal as with Better together coming out, the DLC will be available on other devices too. Only problem is that stock is iffy (about a quarter of the stores in my local area don't have it) but it is available for delivery. 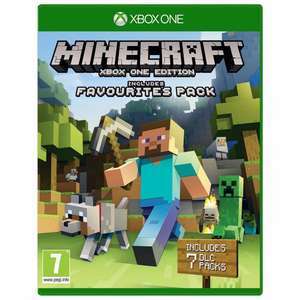 "All DLC purchased in one version of the game will be available across all devices at no extra cost"
It is if you like minecraft. Cheaper than the game by itself on Argos and yet it comes with the DLC too. I just don't "get" Minecraft. However at this price I'm giving it a go. Thanks OP.